My progress in the guest room for One Room Challenge has been a little slow going this week. In case you missed it, here are my plans to makeover this space in the next six weeks. I always start with wall color, so this week has been about making decisions on wallpaper, paint and shiplap. 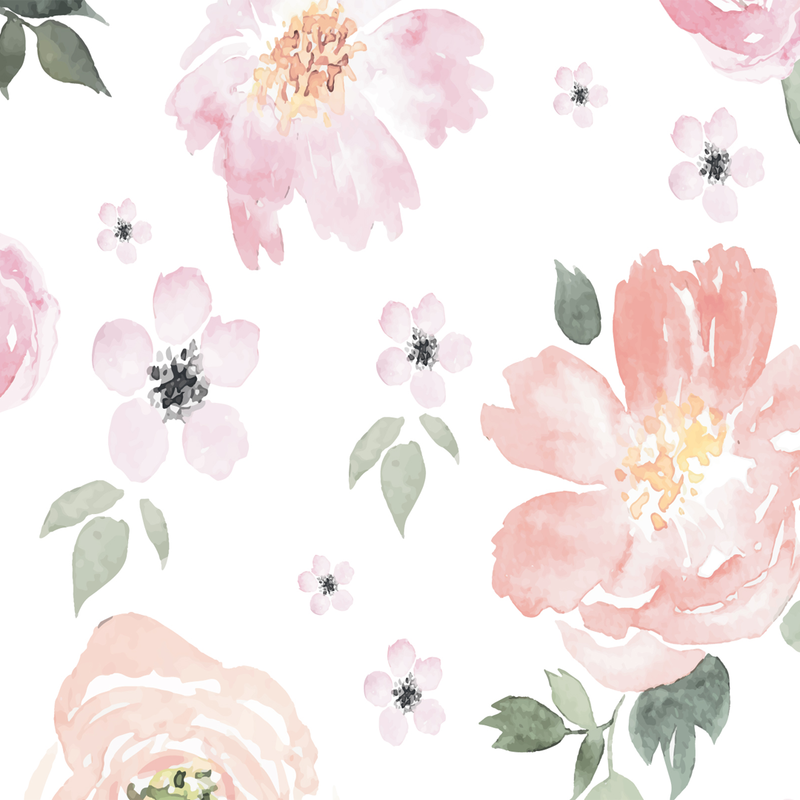 I pulled the trigger on the wallpaper and I’m so excited about it! Isn’t it gorgeous? 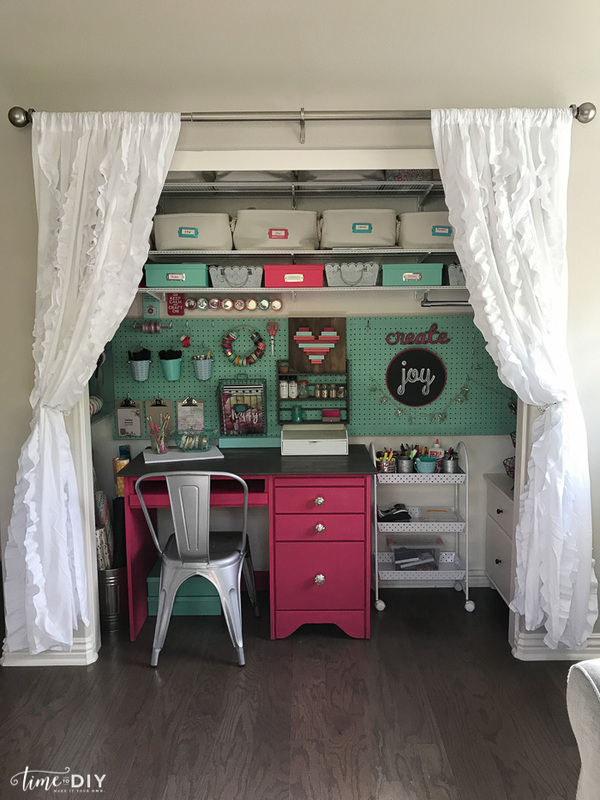 It’s self-adhesive removable Jolie Wallpaper designed by Monika Hibbs from Anewall, and it’s made to order so it will take a couple weeks for delivery. I’ve never used removable wallpaper before so I’m excited to try it. I love that it’s low pressure when I want to switch it out, which I tend to do every couple years. 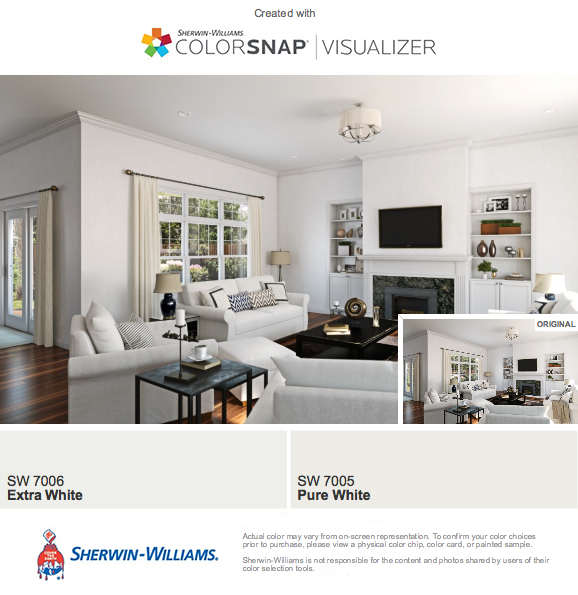 I want to brighten this room, so I will be painting the main space white, but I’m currently undecided on which one: Sherwin-Willians Extra White or Pure White. Any thoughts? I think the lighter one might go with the wallpaper a little better. 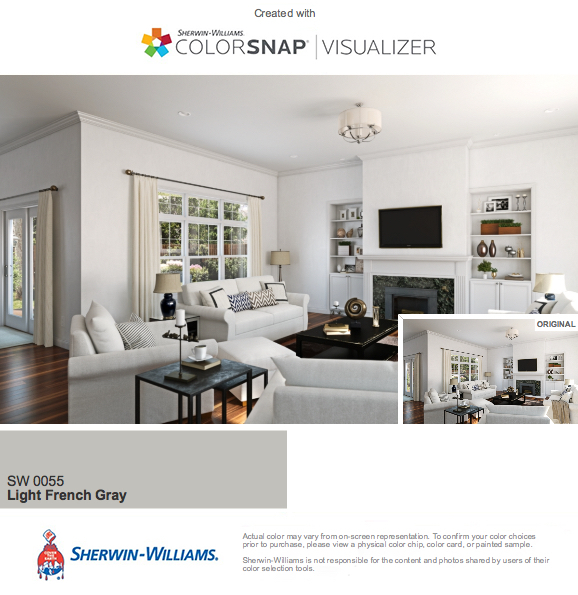 I’m also toying with the idea of painting the inside of the closet with SW Light French Gray. I love that gray, so if I don’t use it for the closet, it will be going somewhere else. Now I need to get to Lowe’s to try some samples and get painting! Along with some supplies for shiplap as well, another first for me. I’ve removed all the wall decor in the room and it’s ready to go! 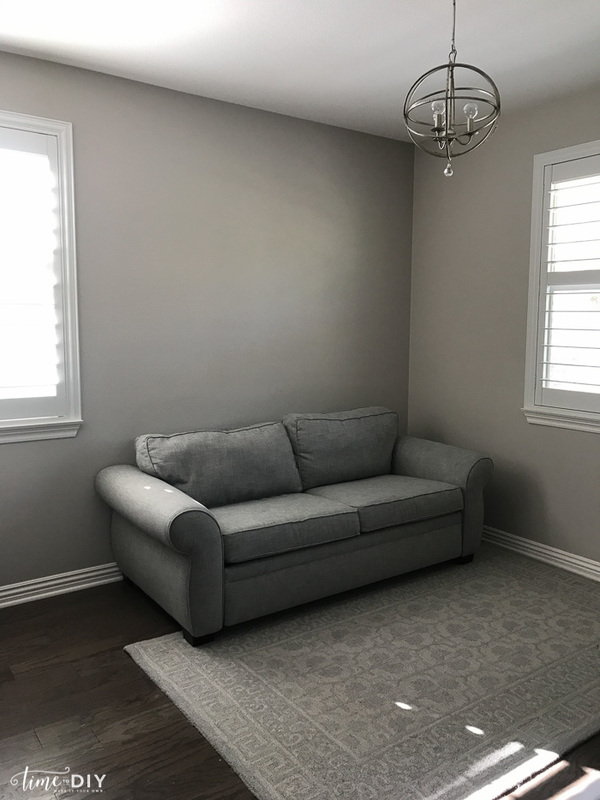 The wallpaper will go on that main couch wall, and then I will install shiplap halfway around with a chair rail, and the white paint to the ceiling. I would like to also put up some crown molding as well, but we’ll see. This next week I will also be pairing down and decluttering this closet space so I can get painting in here as well. So, not a lot of visible progress to show for this week, but making decisions and selections is still part of the process and good progress. Debby, I am so excited to follow along in your journey! I cannot wait to see the self adhesive/removable wallpaper go up and hear how you like working with it. Have fun painting and I look forward to seeing what progress you’ve made next week. Thank you so much, Angie! Can’t wait to see the progress on your powder room as well!